BEAUTY RESOLUTIONS: WINTER SKIN woes no more. That wonderful time of the year with the chill in the air is often not so amazing for the skin. For so many of us that have sensitive skin or atopic skin, eczema, or psoriasis, the skin is even more irritated during the cold months. That means extra care for body care which includes not only protecting, but calming red, irritated and dry skin. 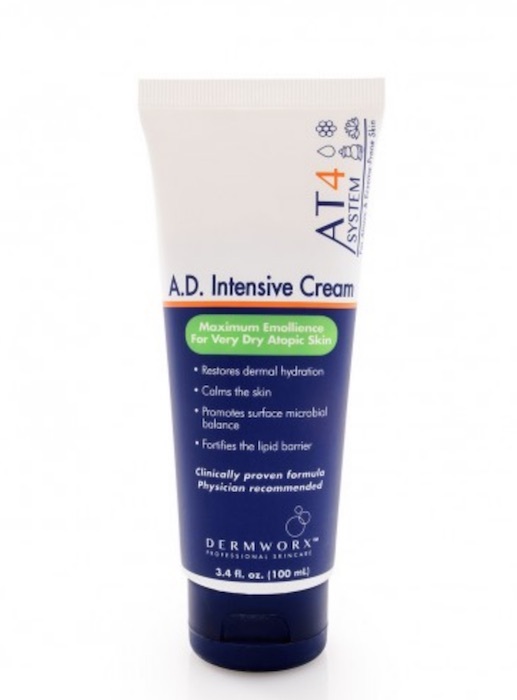 I recently checked out Dermworx, a professional skincare AT4 system for Atopic +Eczema prone skin. First of all, for the sterile packaging, the scent is so nice! light- european pharmacy scented, not medical, and definitely not overpowering. After using the wash and lotion for a few weeks, I noticed less new irritation, less itchy skin. 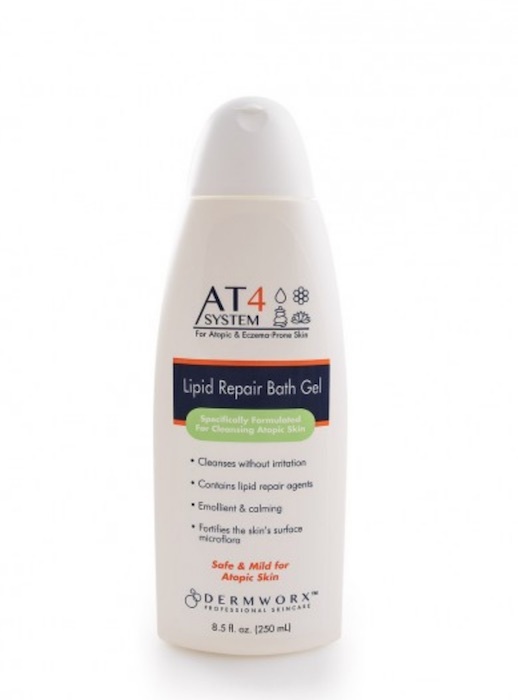 AT4™: Lipid Repair Bath Gel. Extra mild cleansing for atopic and sensitive skin An is a very gentle gel cleanser to use for face and body, with advanced hydration system. Cleans without irritation, calms skin, and fortifies skin’s microflora. how about a moisturizer that won’t irritate + smells fresh enough! the AT4™: Soothing Body Lotion is light in texture, generous on moisturizing benefits. Designed for atopic and eczema-prone skin. Soothing Body Lotion is an after-bathing emollient that has a smooth texture without feeling heavy. Contains ceramides & essential fatty acids. Fresh light scent. AT4™: A.D. Intensive Cream is MAXIMUM Emollience for very dry, atopic skin. When you’re suffering with acute episodes of reactive skin with special needs. Steroid-free A.D. Intensive formula for maximum emollience for delicate skin during episodes – especially in winter. Helps restore moisture and calms skin, and promotes ‘microbial balance’. 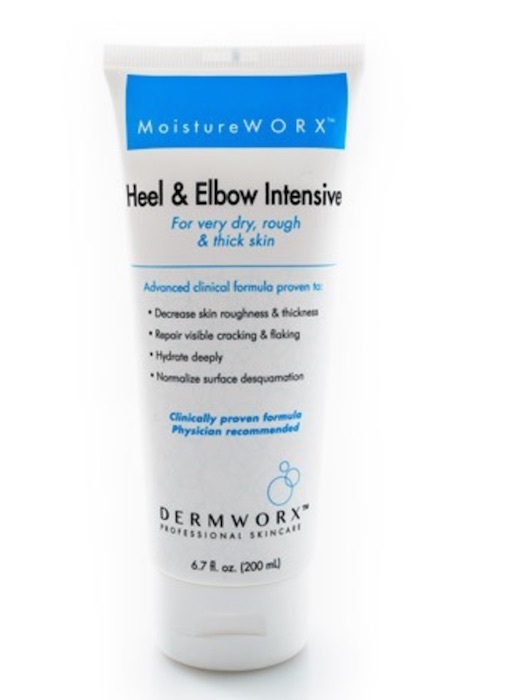 MoistureWORX™ Heel & Elbow Intensive Cream “ a facelift for feet!” smooth out the rough skin intensively in a formula that also repairs visible cracking and flaking. Rich, non-greasy cream, that is soothing, with visible effects within a few weeks of use. to buy: Check with your local dermatologist or at MoistureWorx online. 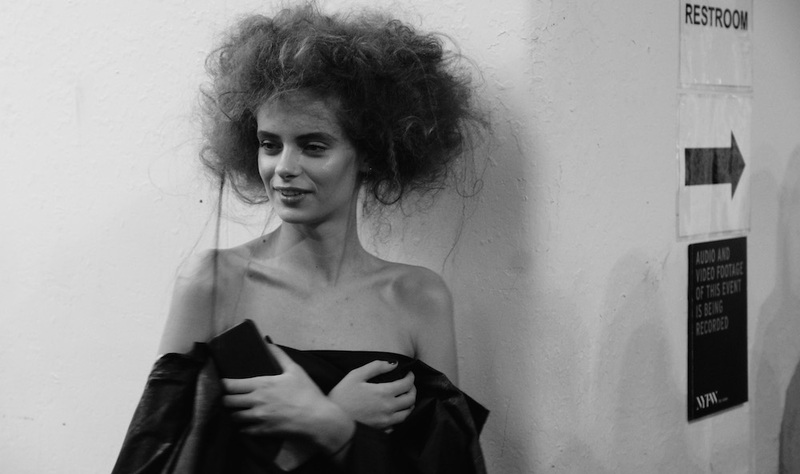 WINTER sensitive SKIN care written by Brigitte Segura. photo credit: portrait at NAEEM KHAN fw16 by Angus Smythe for FashionDailyMag.